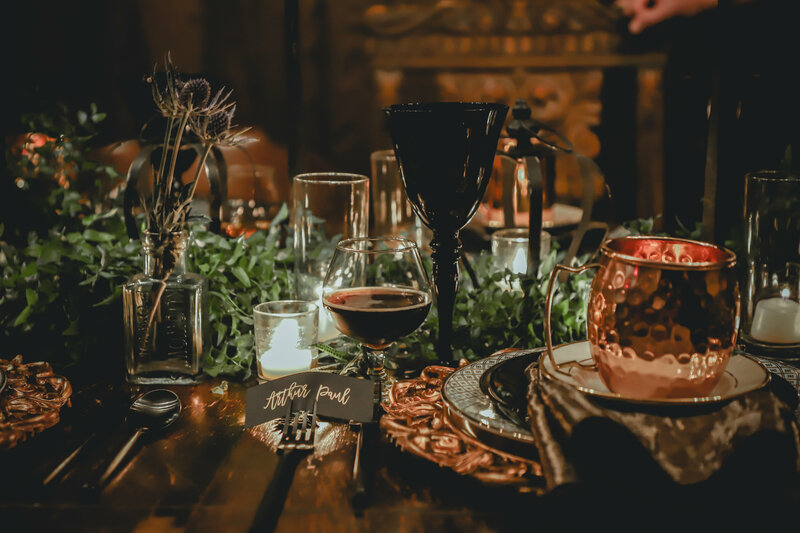 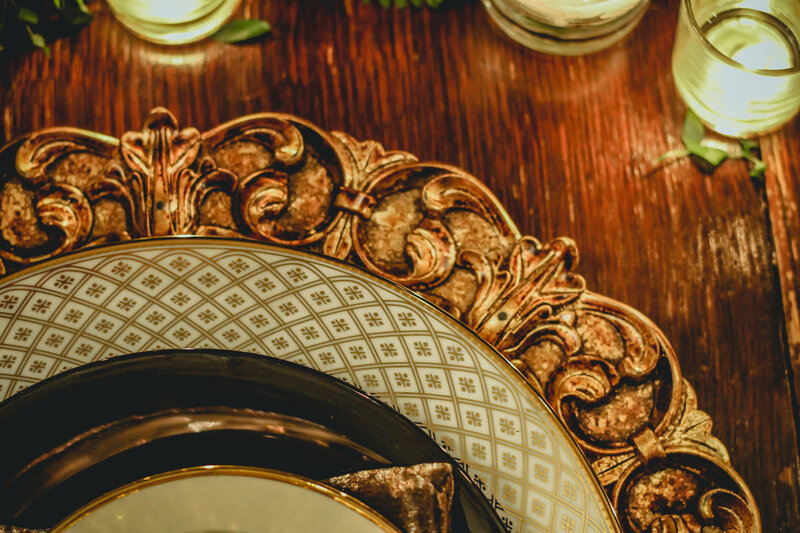 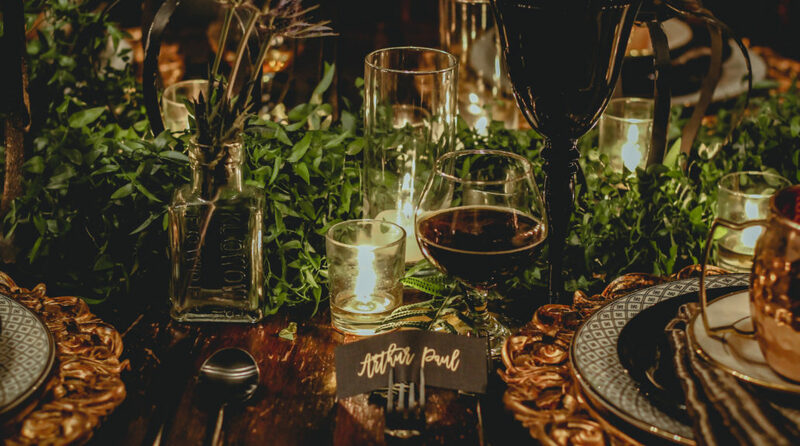 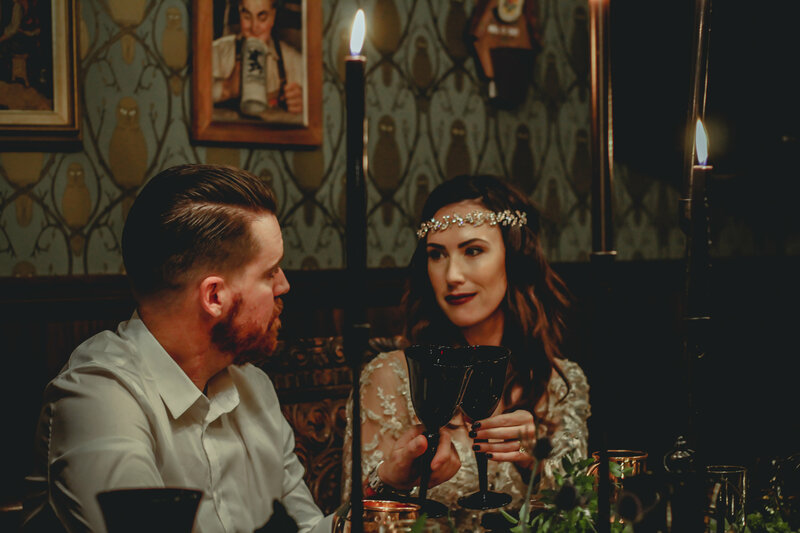 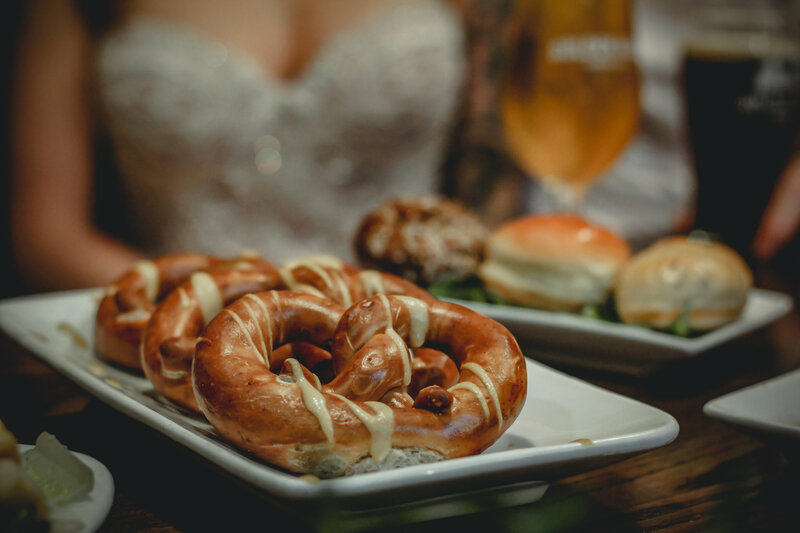 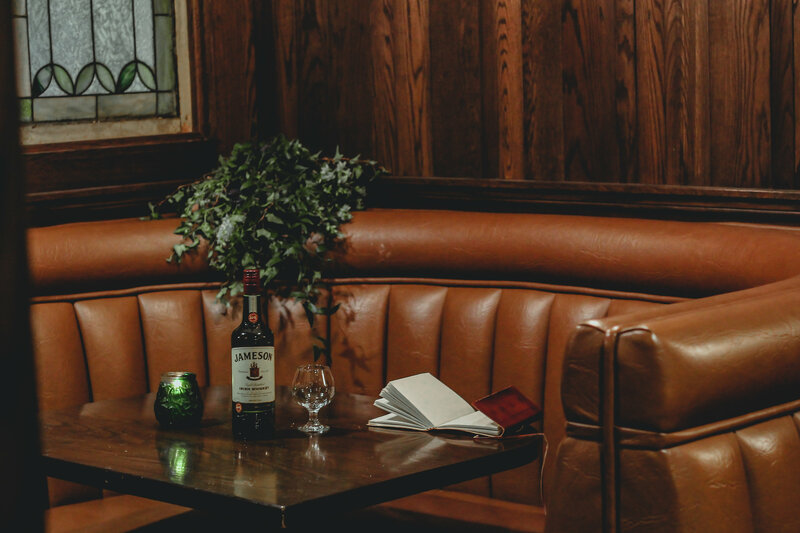 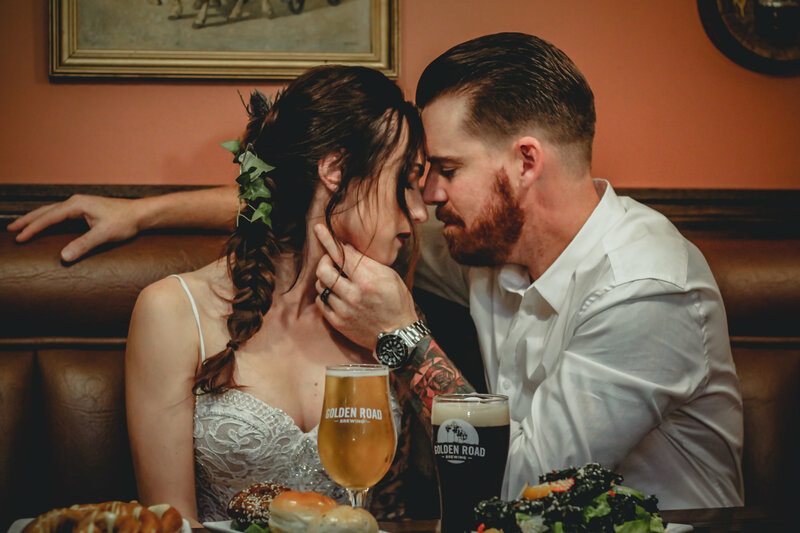 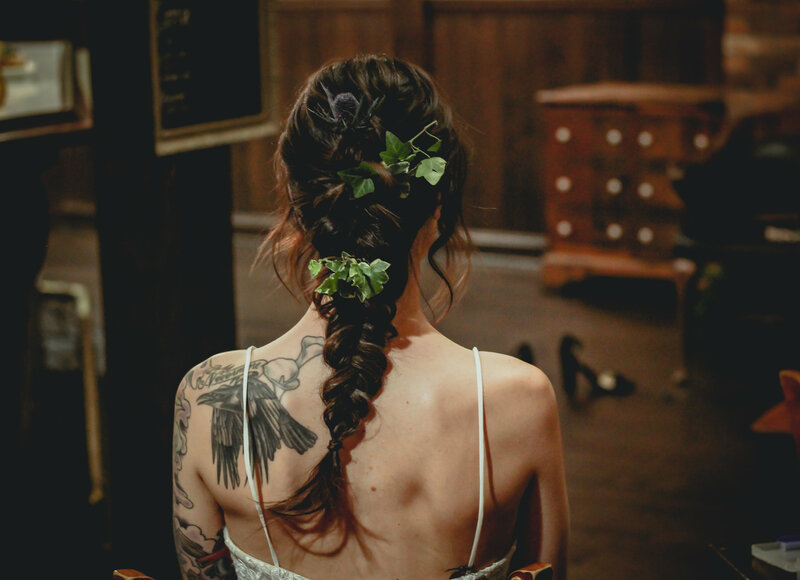 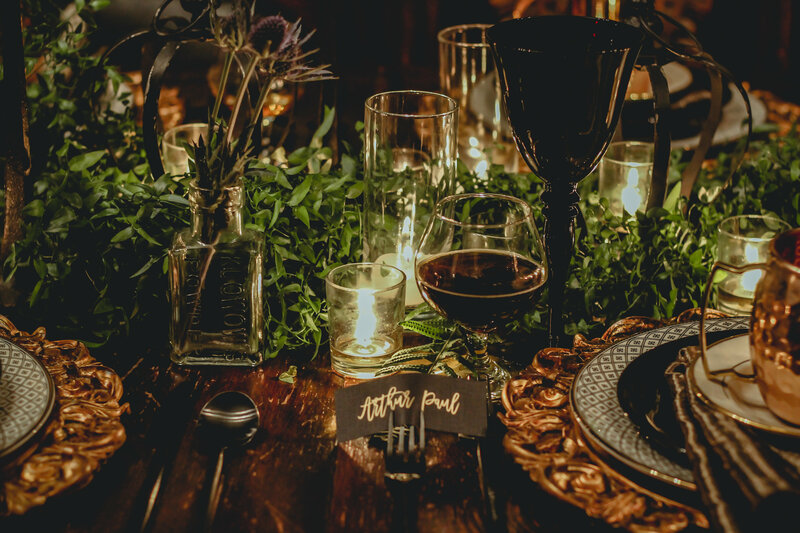 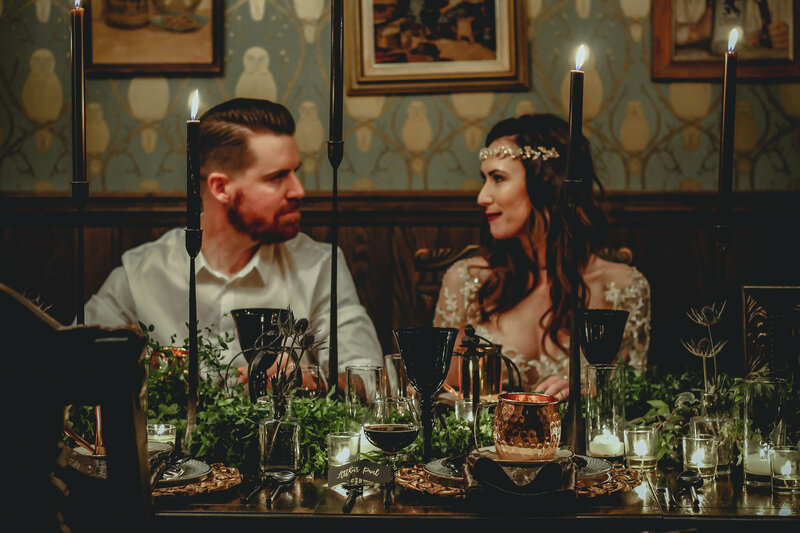 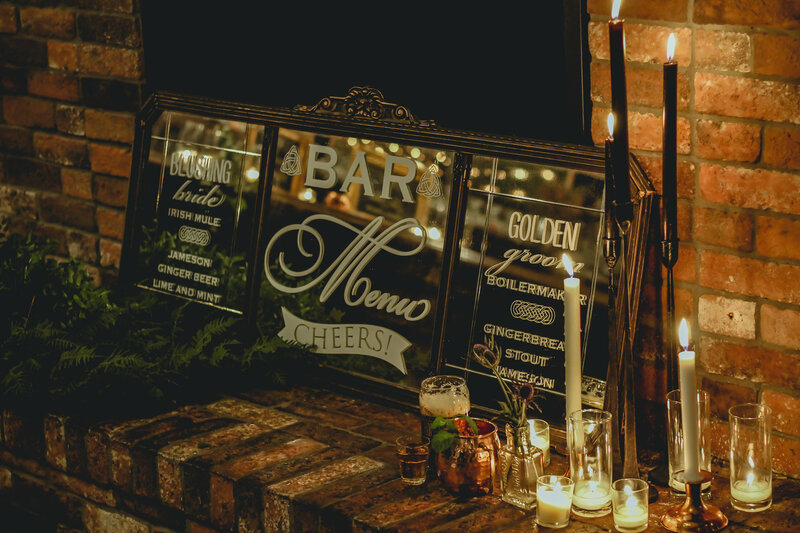 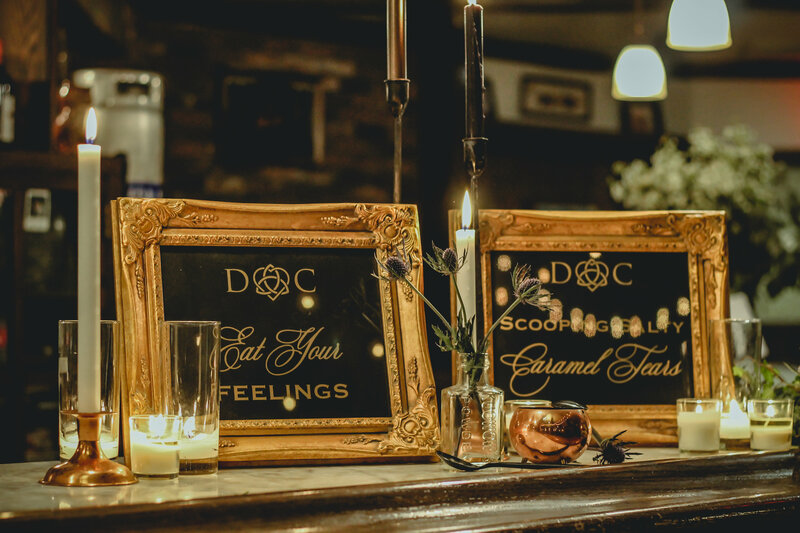 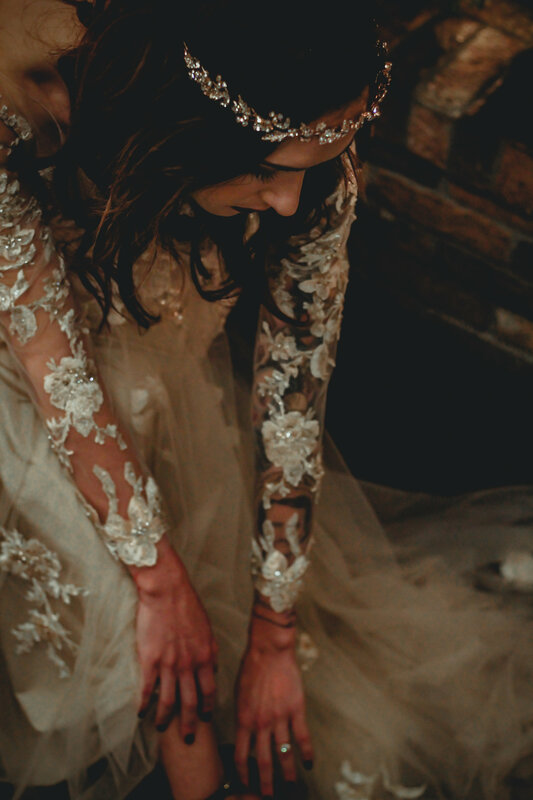 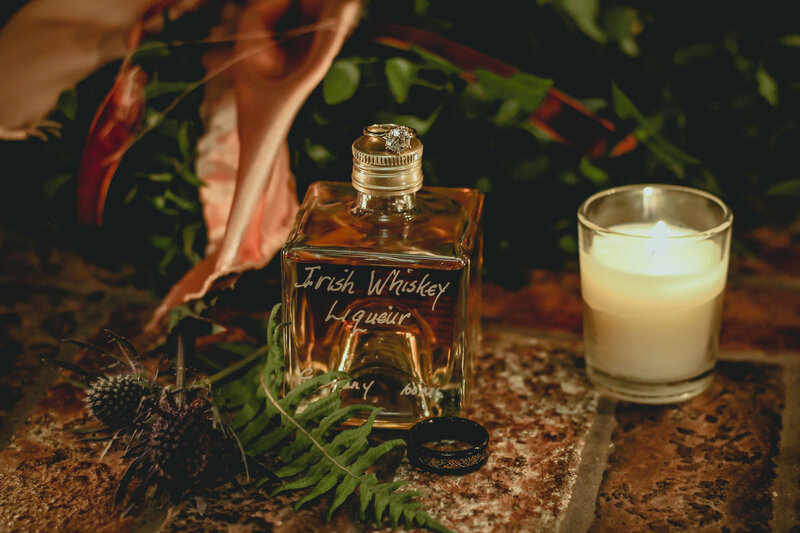 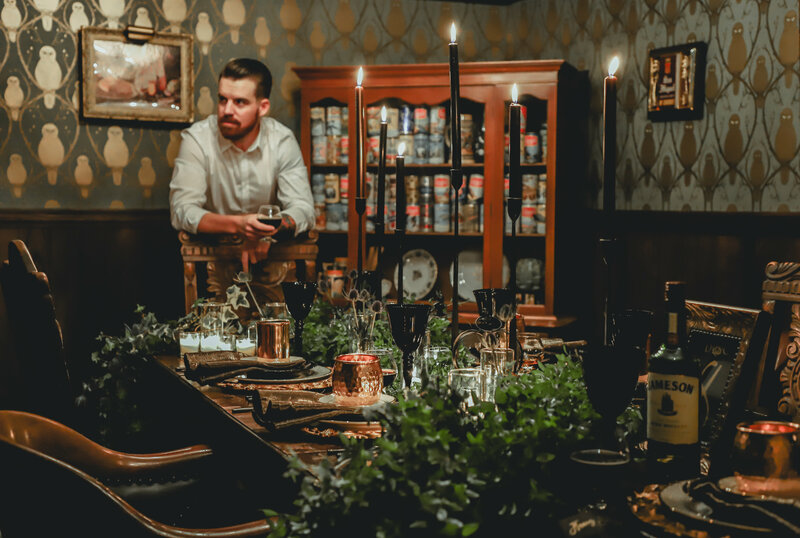 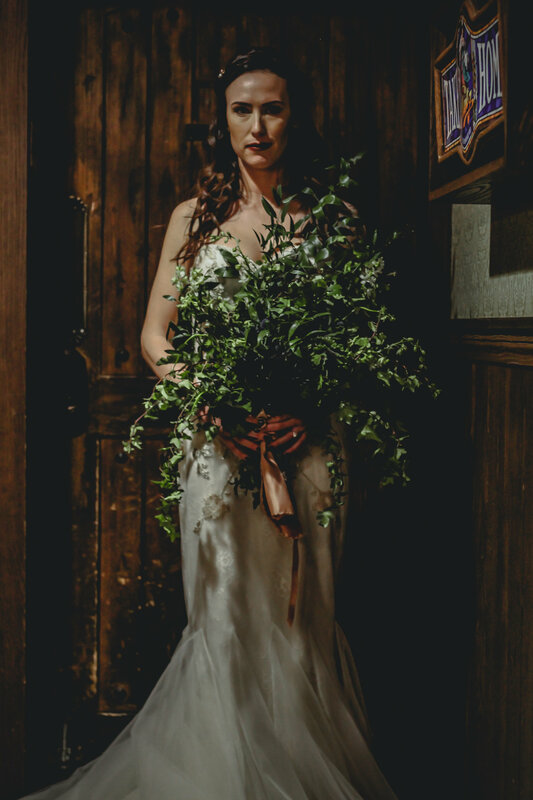 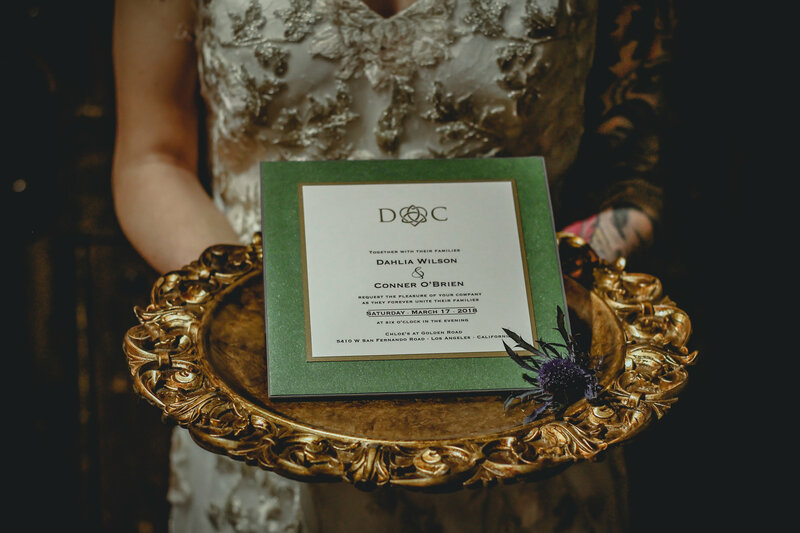 There are many stories of how St Patricks Day is the luckiest day of the year, and we, of course, needed to jump on the bandwagon, so today we’re sharing the perfect accompaniment, this moody editorial full of moody St Patricks day wedding inspiration. 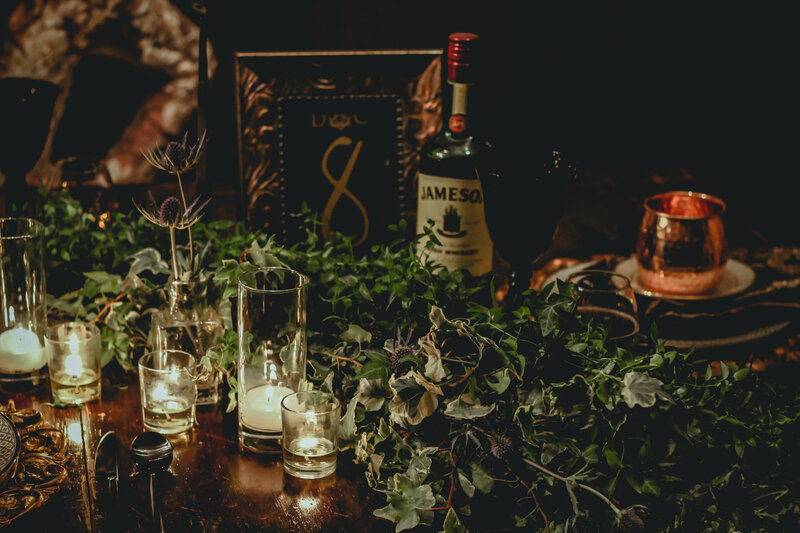 Playing off traditional Irish loves of beer, whiskey and all things green, our team, led by P.S. 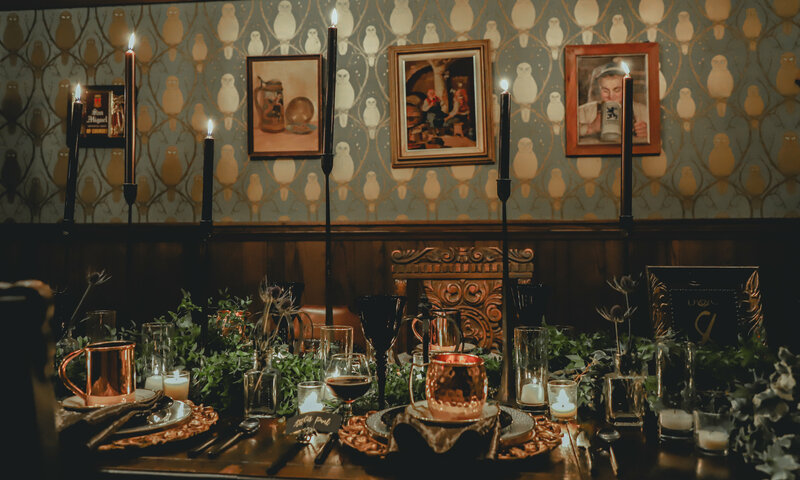 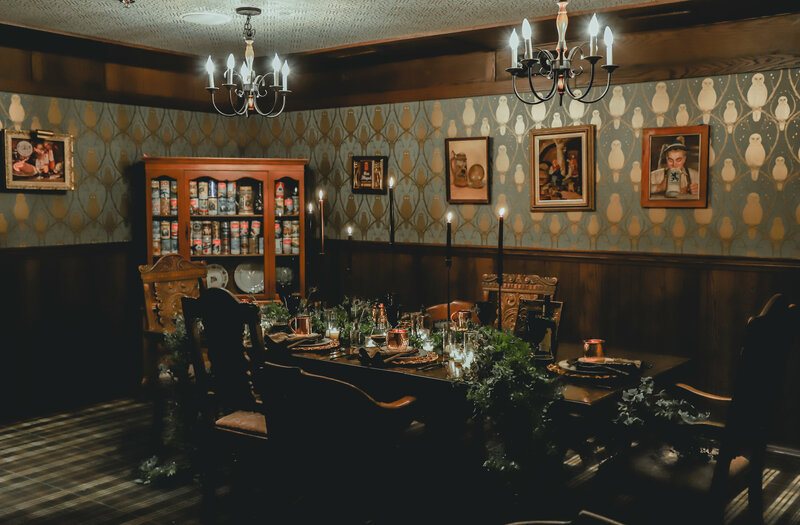 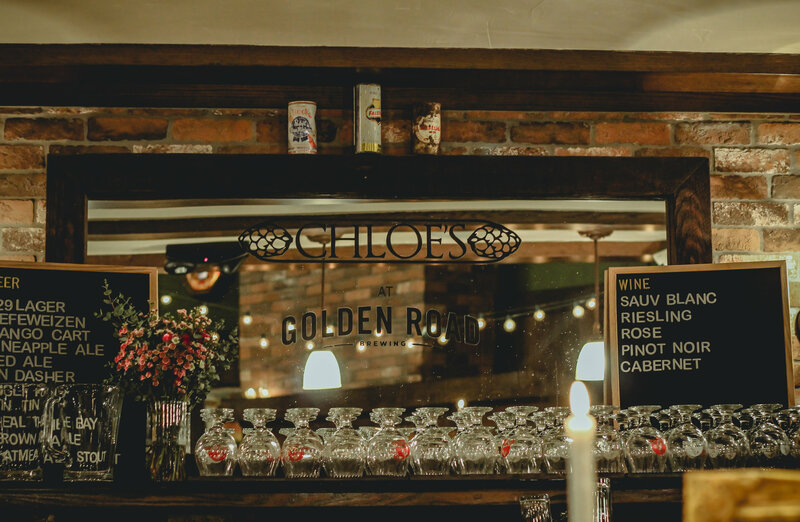 & Associates Event Planning took a dark dining room at the oh so appropriate Chloes at Golden Road Brewery. 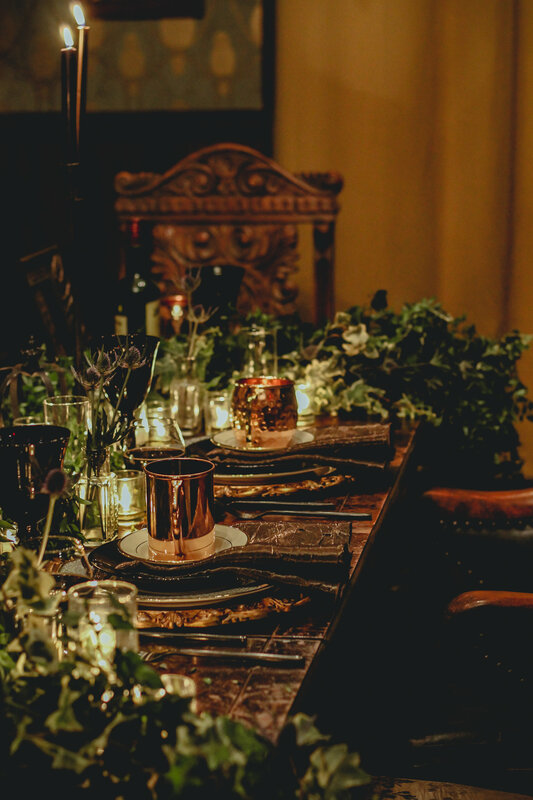 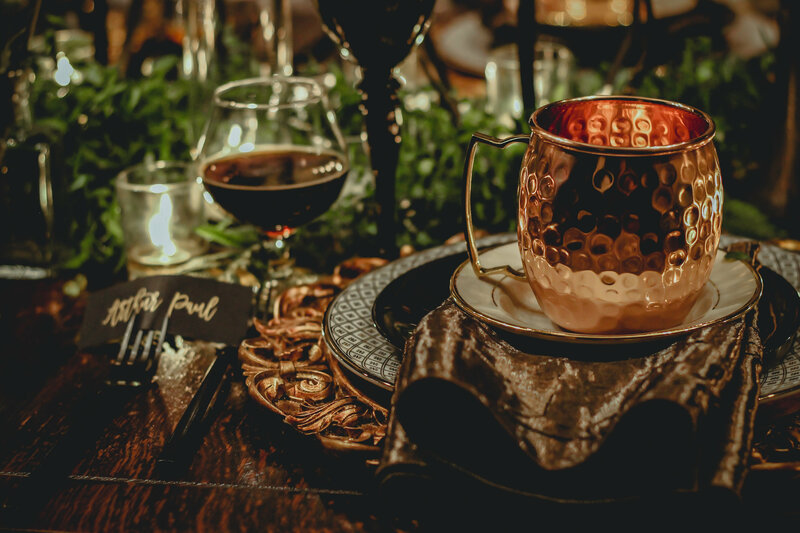 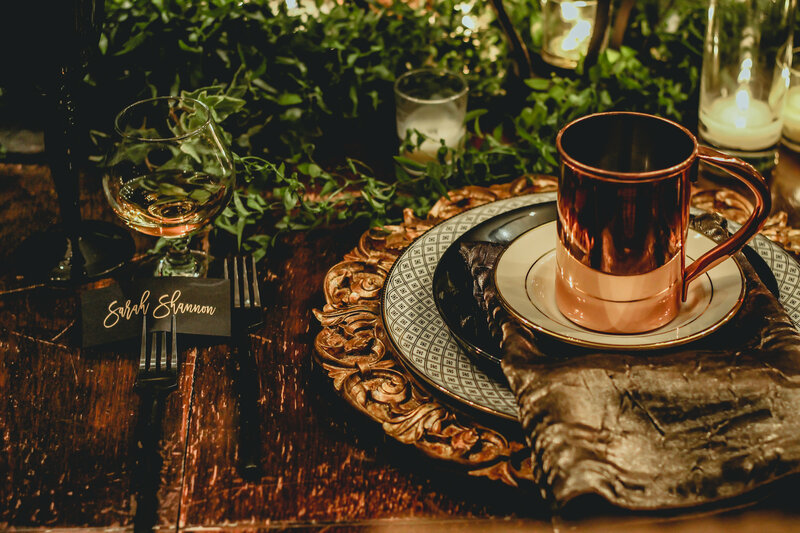 Taking a grand, long table and topping it with garlands of lush ivy, thistle and foliage by Rosebud Floral Design, plenty of candlelight and glam rose gold details (how chic are those copper cups?). 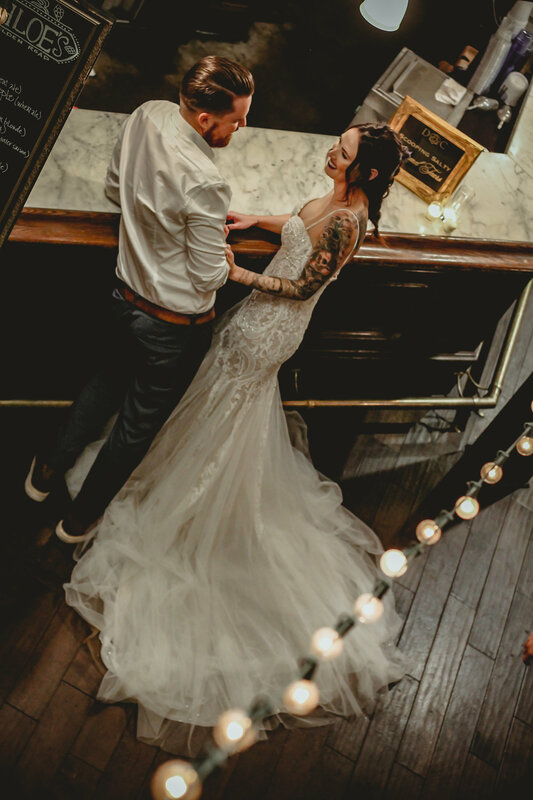 The finishing touch? 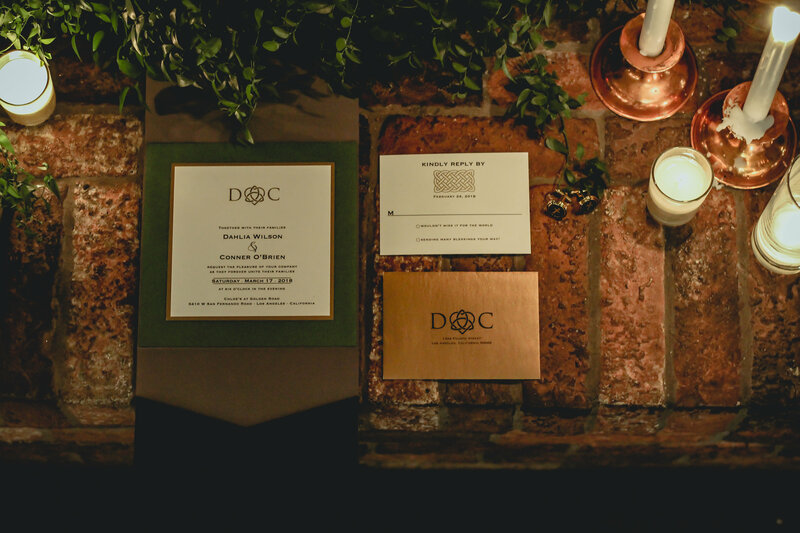 Simply Stated Stationery adding black place cards, with gold calligraphy to complement the green and gold designed wedding stationery suite. 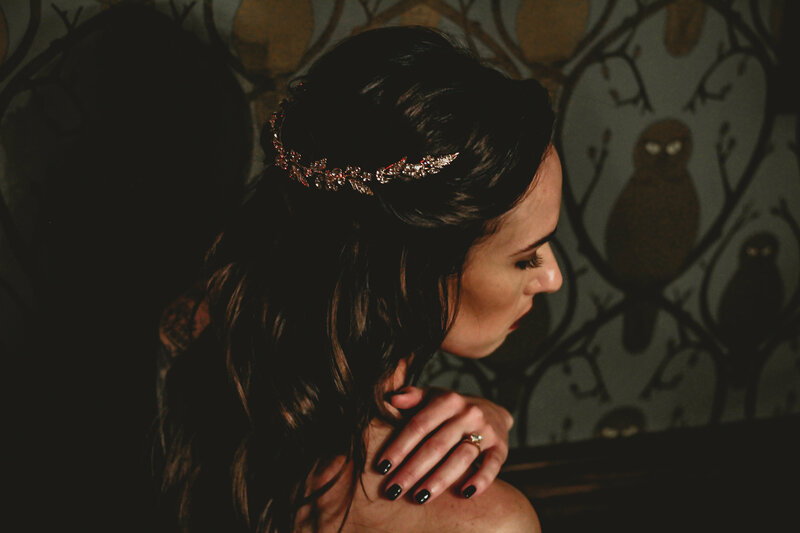 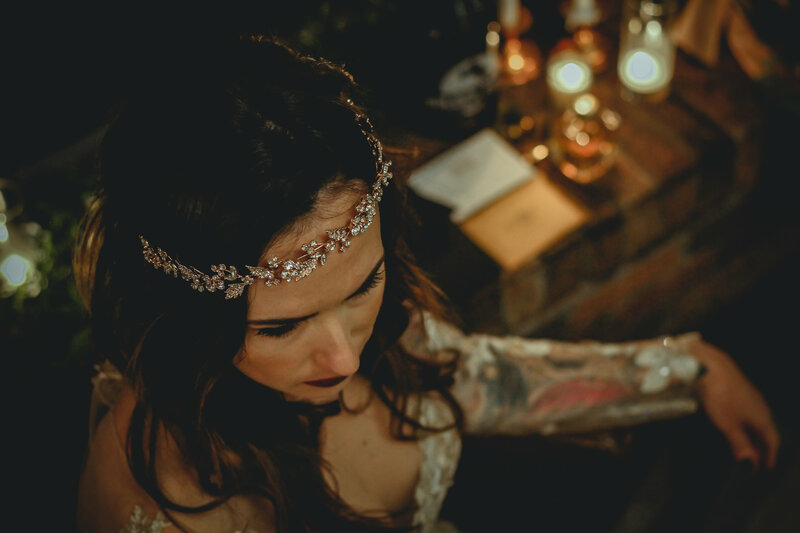 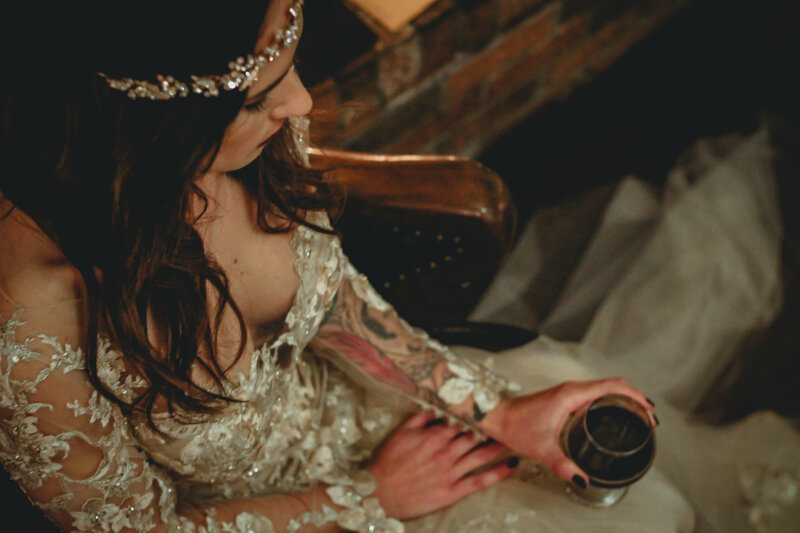 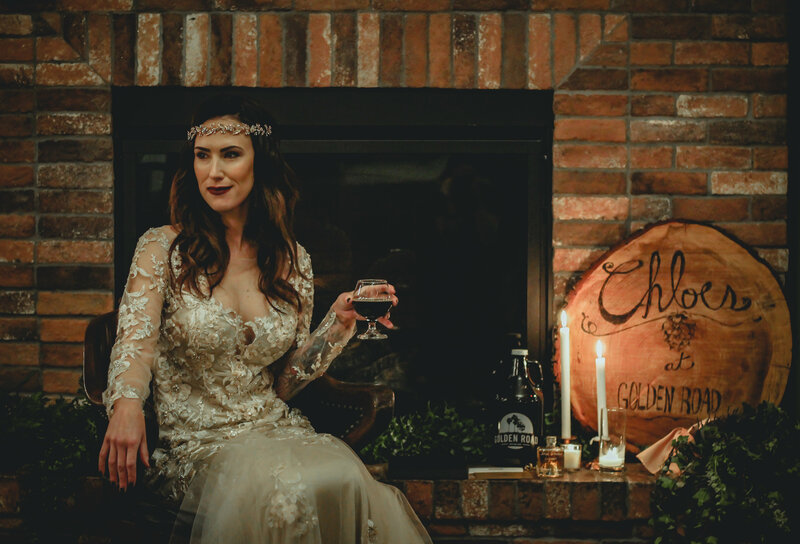 Our bride, donned lace gowns from La Soie Bridal wearing a glittering hairpiece in a glam, Game of Thrones inspired look, coupled with her groom, dressed in relaxed, bar chic style. 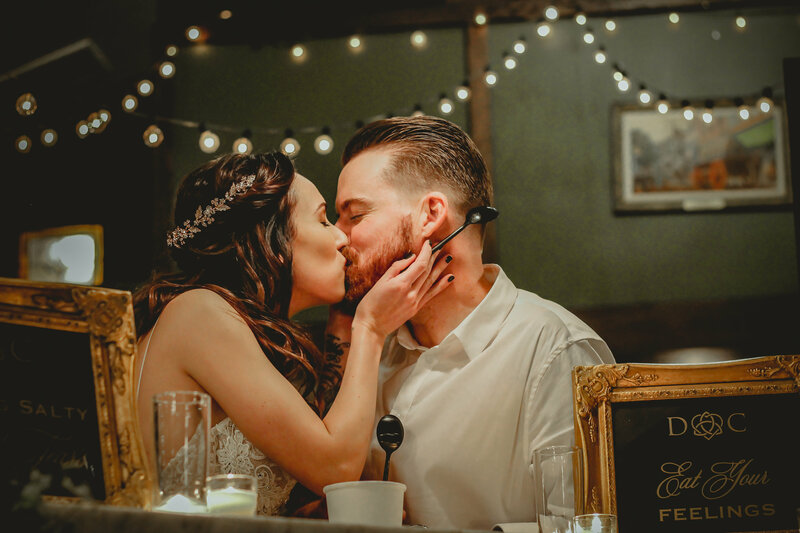 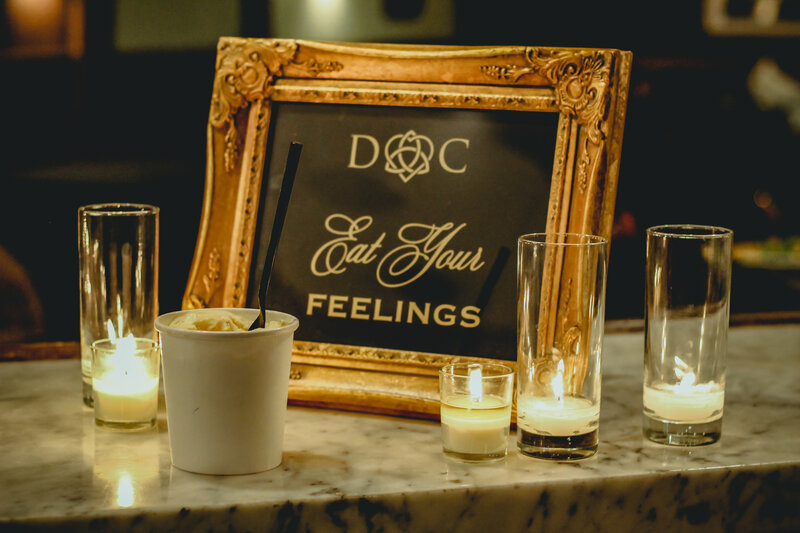 The pair ditching the same old traditional wedding cake for artisan ice cream from the pros at Eat Your Feelings Ice Cream. 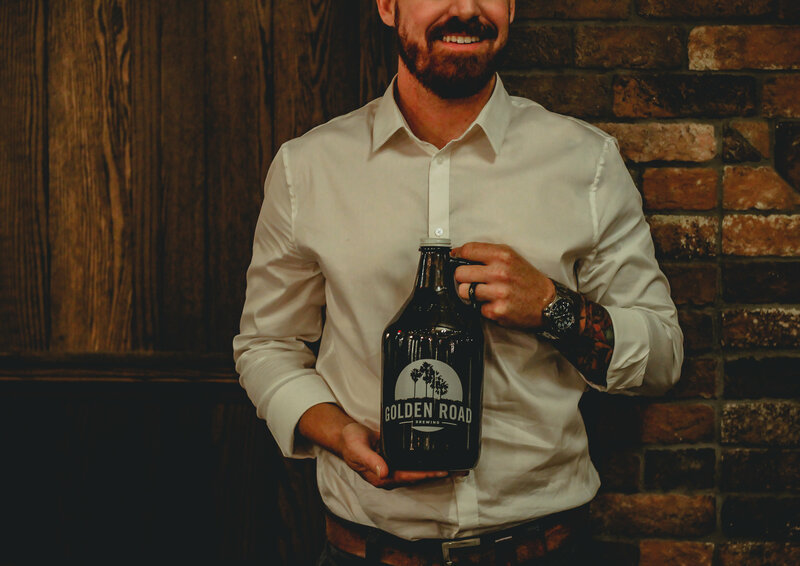 If the luck of the Irish is coupled with dark beer and ice cream and a look such as this, count us in for the trip to the end of the rainbow- pot of gold, we’re on our way.